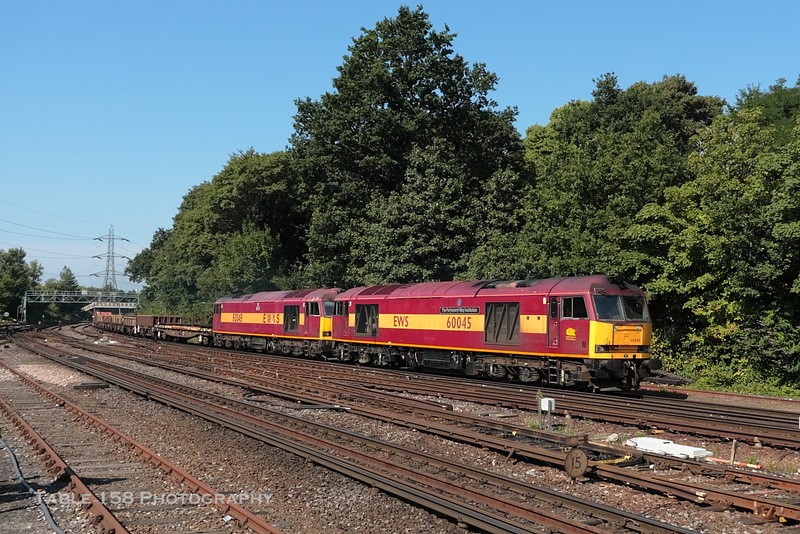 On a rarer daytime working 31452 leads the Railvac, some spoil wagons and 31190 from Ascot (6Z31 depart 07:50) back into Totton , with a reverse into the yard. A "Cosham Plant" excavator waits there to unload the spoil, while the drivers depart in their cars. 31452 arrives at Totton a few minutes late. 31190 leads the formation back into the yard. 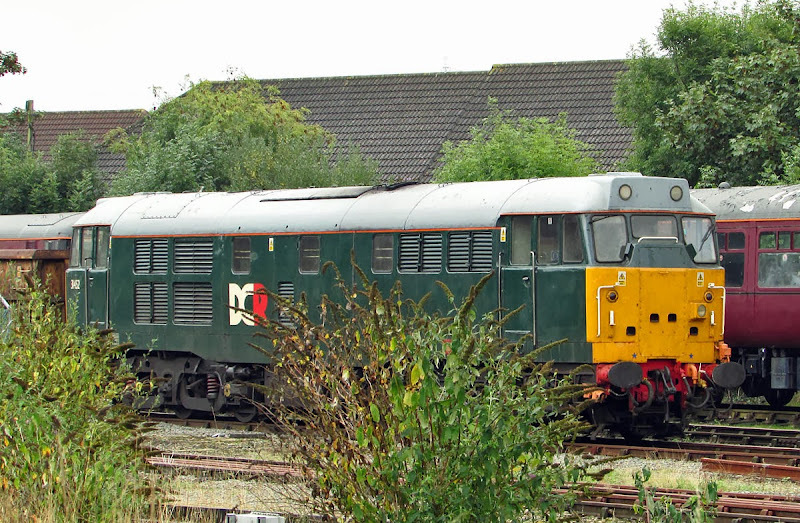 31452 at the rear upon entry to the yard. 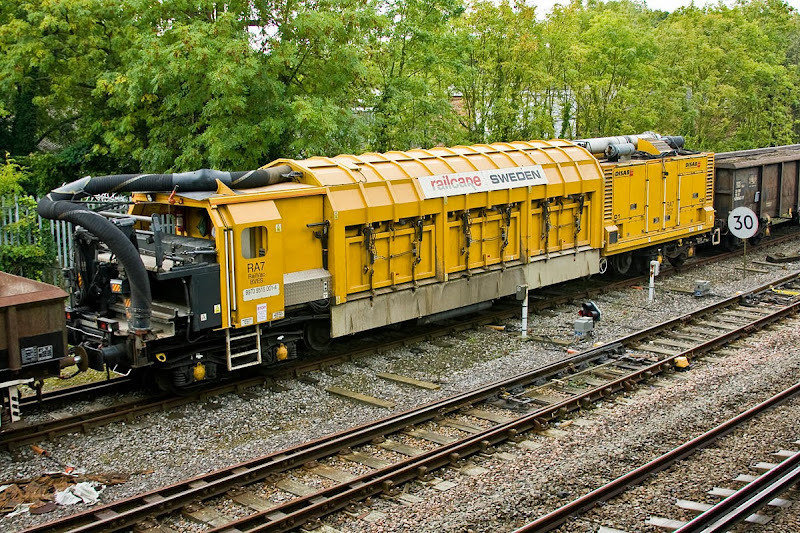 The excavator is awaiting the yard to prepare the train for its next turn to Basingstoke, which left at 13:53, 45 minutes late. Further coverage of the shunt after 13:00 by Simon Howard. 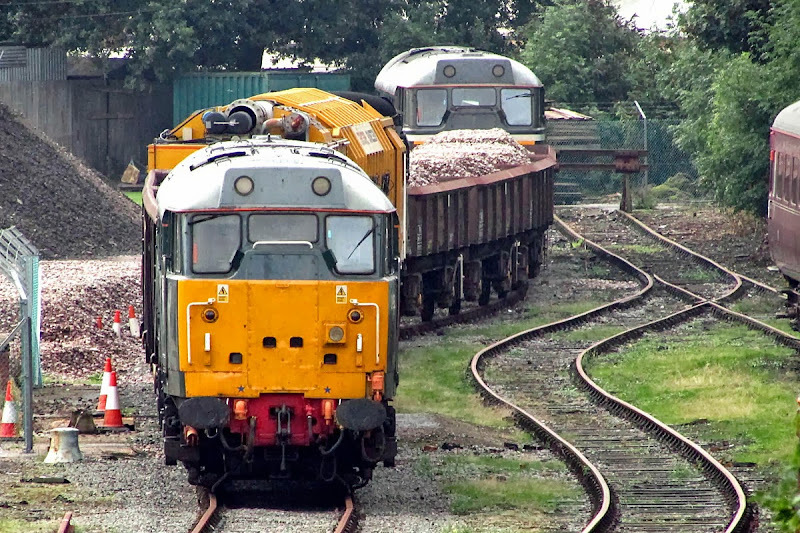 Totton Yard is the current operational base for the Railvac, although the Network Rail sign at the gate still says Corrall's Coal Yard. 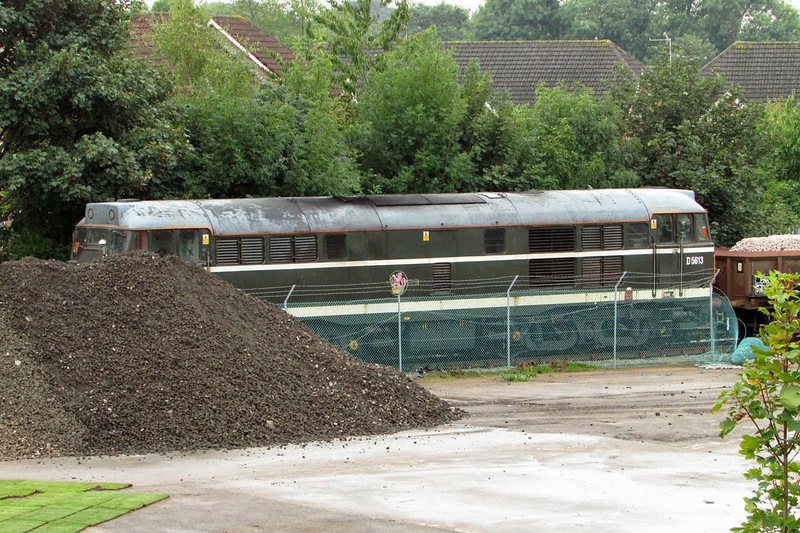 There are also some stored Mark 1 & 2 coaches. 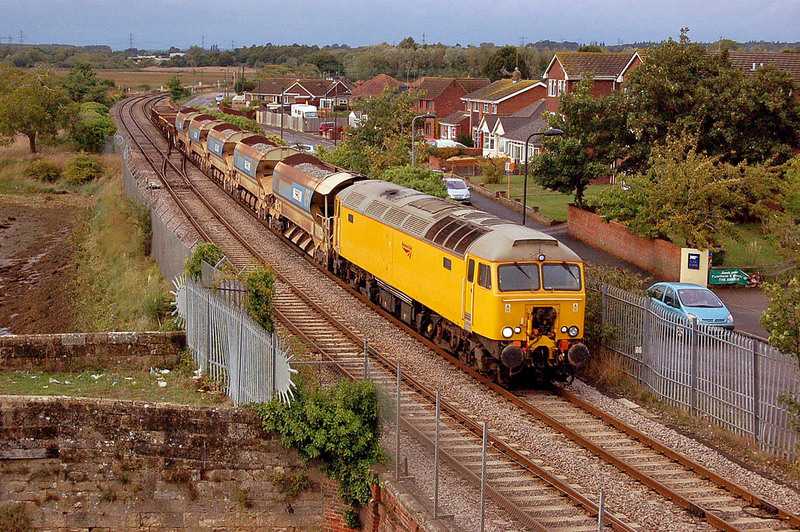 General view of Totton Yard which has seen something of a clear-out before use for Civil Engineering duties. 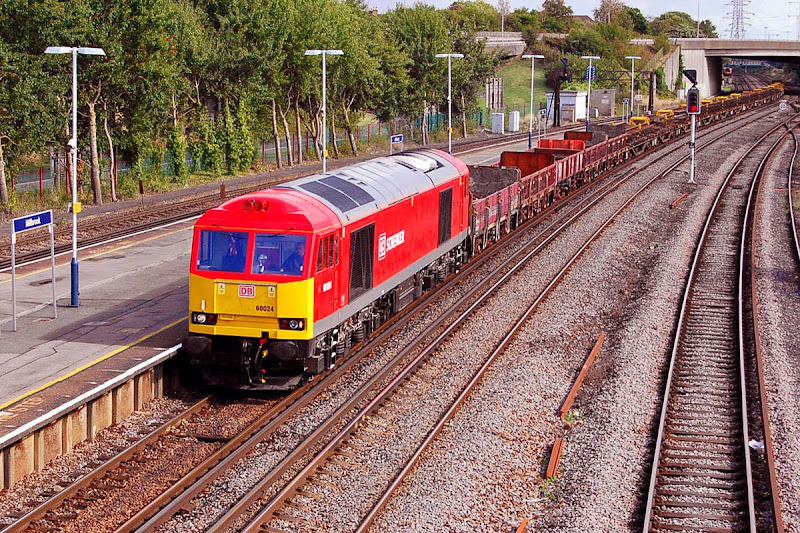 The DBS owned coaches are FO 3255 (nearest), RB 1658, TSO 5386, TSO 5331, RB 1696 & FO 3368. Of these four may be sold, and two may be for repair (the RB's?). The coaches were in store from 2009 at Fawley, but it is understood that they were moved here on 12th July since there is road access. 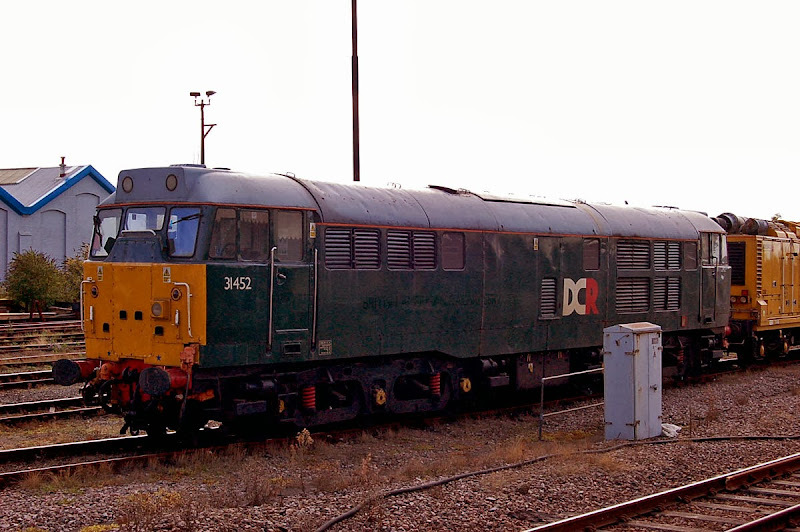 Mk 2E FO 3255 (BR Derby, December 1972). From 1992 to 1999 this was Micro Buffet 3525. 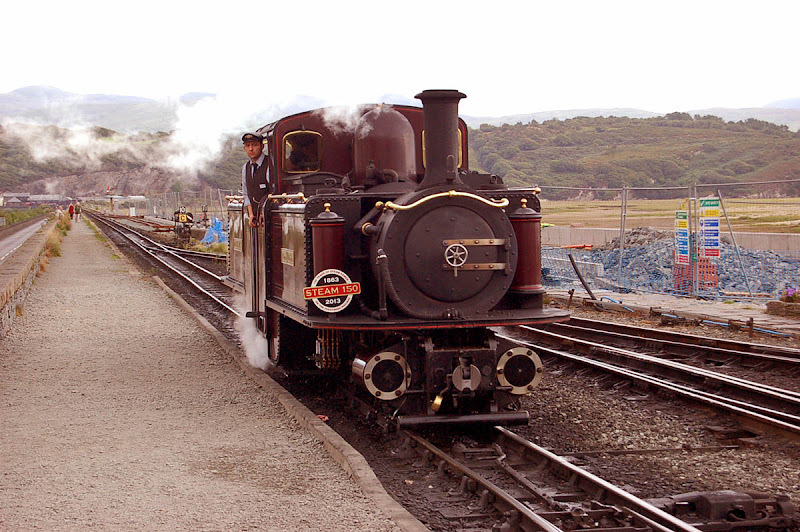 Mk 1 RB 1658 (Pressed Steel, Linwood 1960). 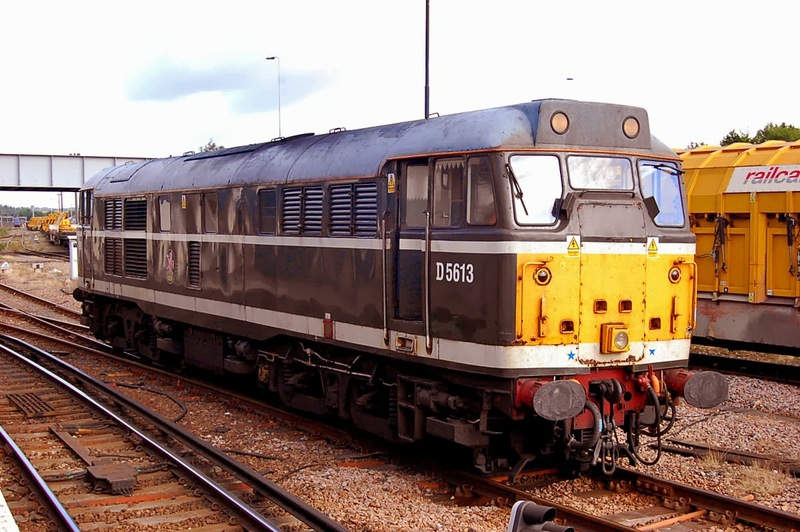 Mk 2 TSO 5386 (BR Derby, August 1968), came out of normal main line usage in January 2002. 31452 awaiting its next nocturnal duties. 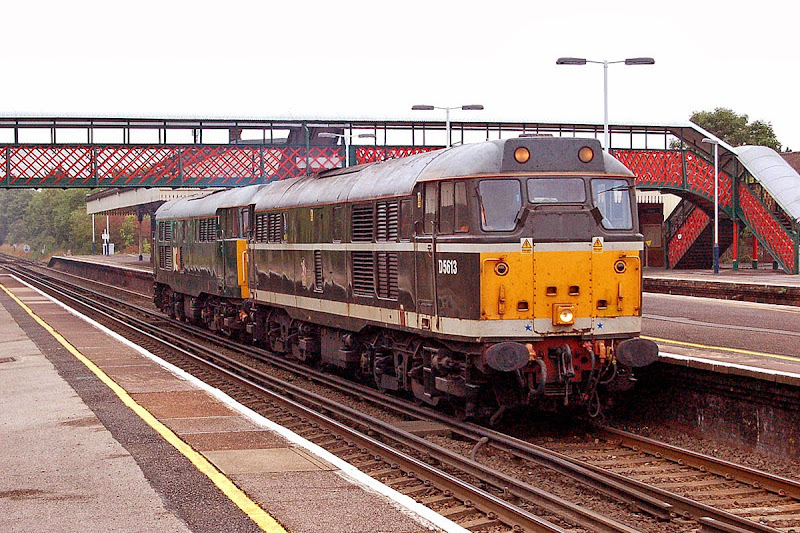 New from Brush as D5809 in July 1961, later 31279 and converted to 31452 in October 1984. 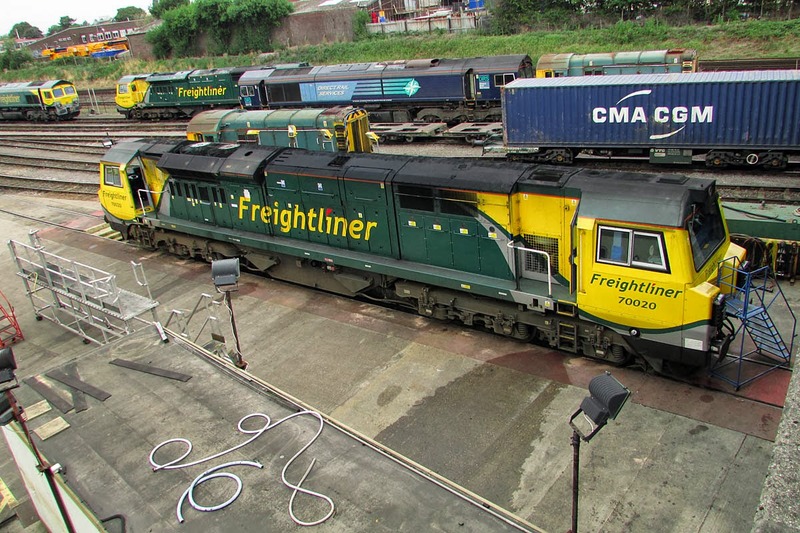 To Fragonset ownership, now with Devon & Cornwall Railways. 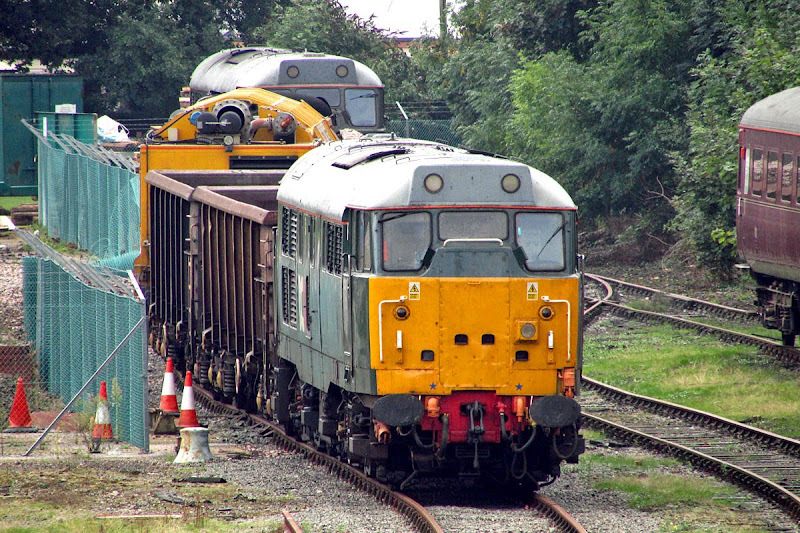 31452 with wagons, the Railvac and 31190 beyond. 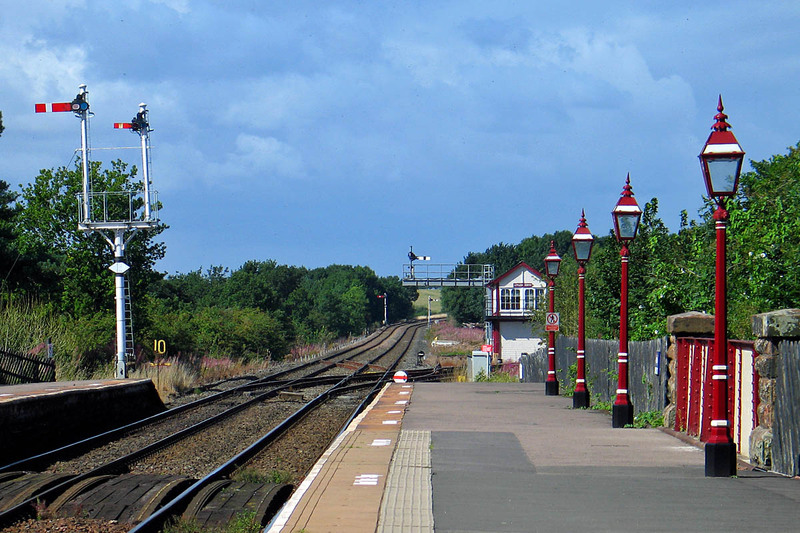 Google Maps shows the layout of these sidings. 31190 (D5613 Brush, May 1960) is partially hidden by some spoil. 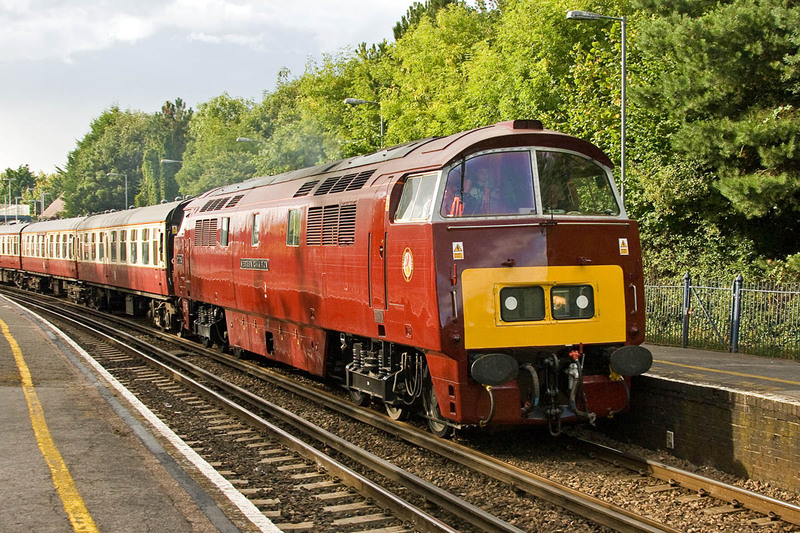 Promoted by The Cotswold Line Promotion Group. Several "firsts" may have happened. 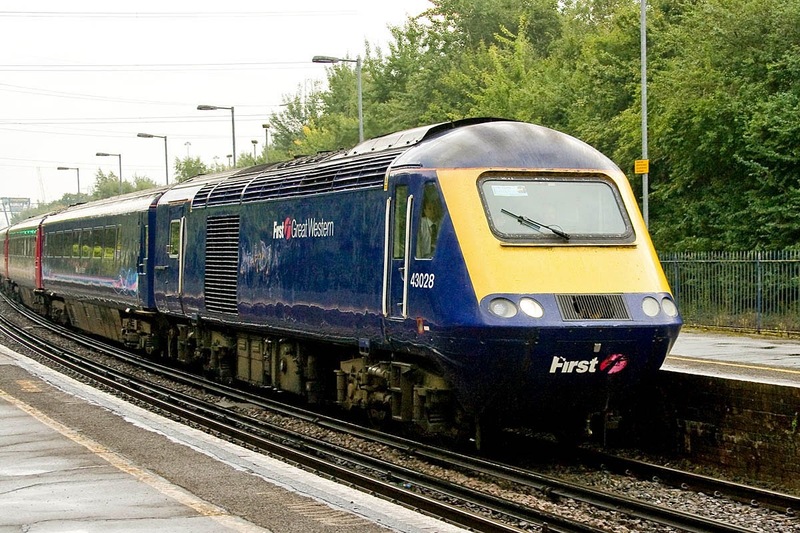 First FGW HST on main line from Basingstoke? 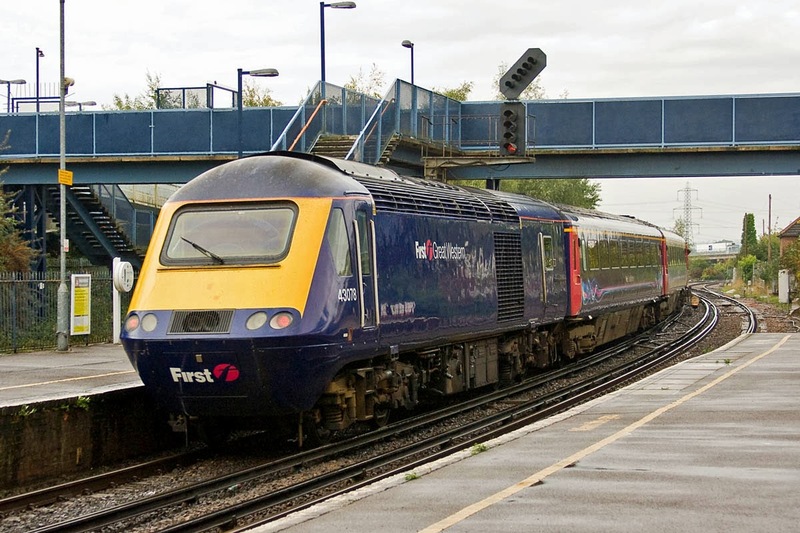 First HST to Bournemouth since 2002 (except the NMT)? First HST onto the Swanage Railway. 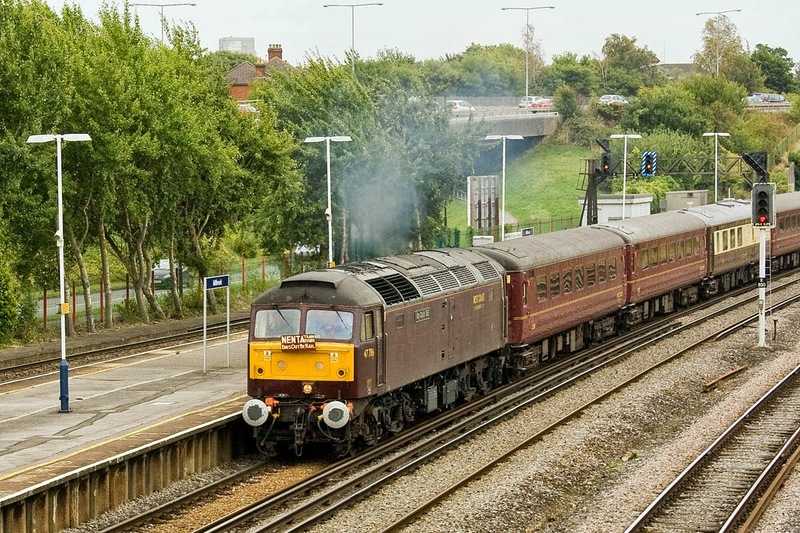 43028 leads the train through Redbridge. 43028 was completed at Crewe in August 1976. 43078 on the rear was completed in January 1978. 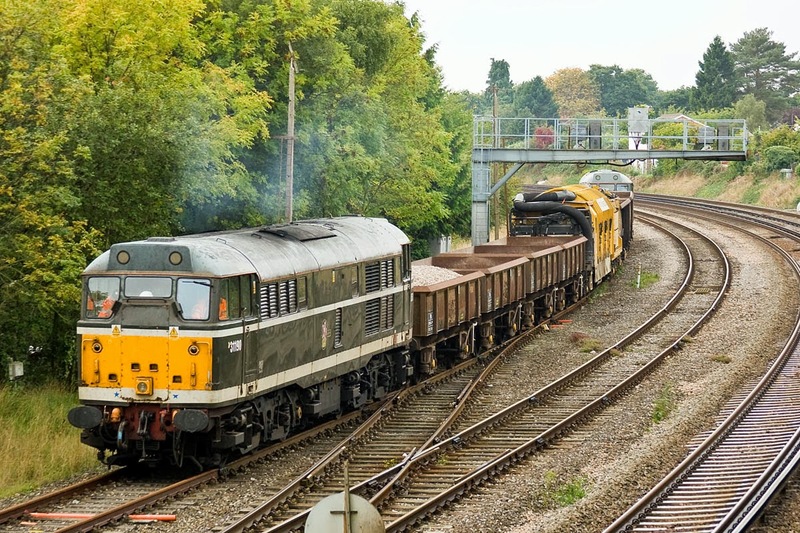 31452 + 31190 work two wagons from Totton - Eastleigh, passing St Denys, 26th September. Image by Ian Knight. Some time later, the two locomotives return. Image by Ian Knight. 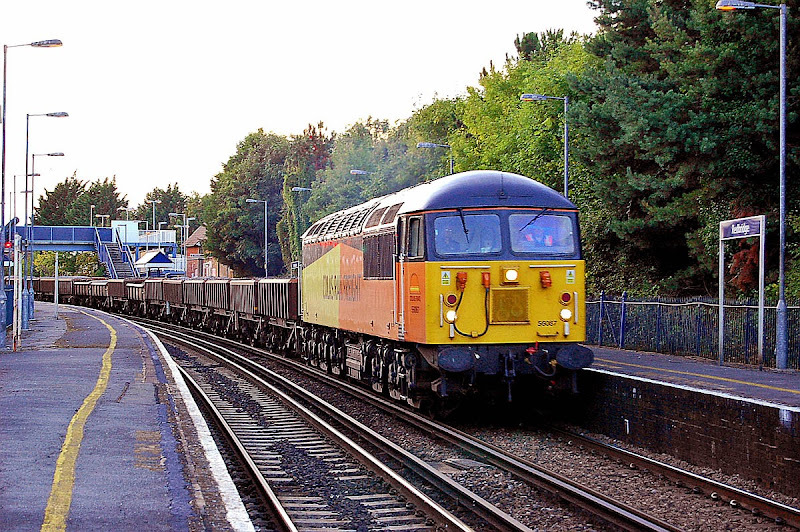 66127 + 60024 approach Redbridge with 6O41 on 23rd September. Image by Ian Knight. 70018 was removed north DIT behind 66538 on 4M28 09:32 Maritime - Ditton on 26th, it was then moved on to Crewe Basford Hall and Leeds Midland Road. 53% of the class was out of service on Friday. 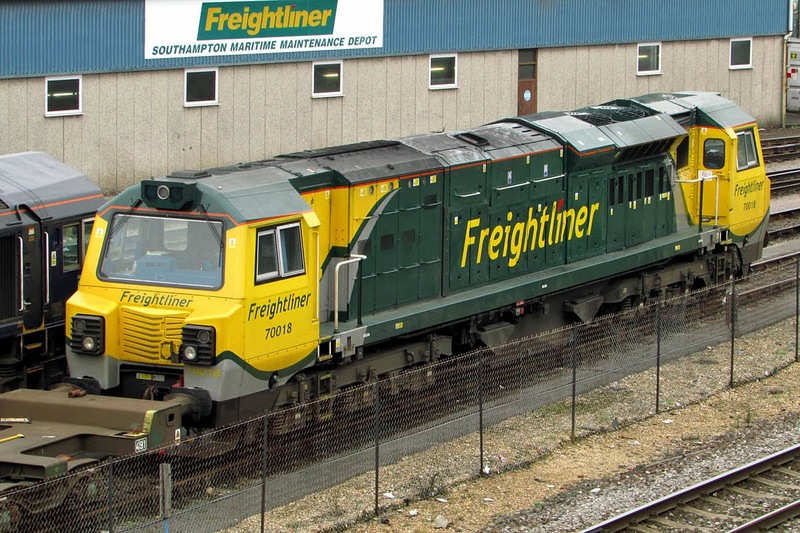 70017 continues to only work on Southampton - Wentloog turns. 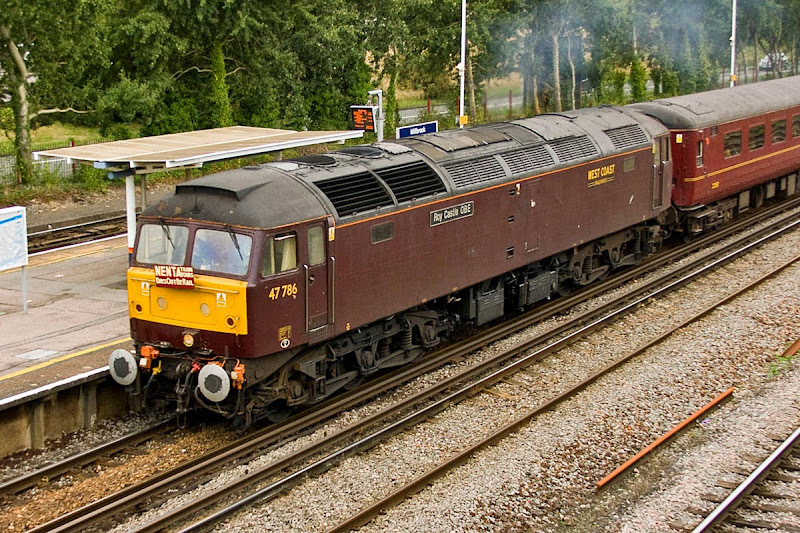 47786 Roy Castle OBE passes through Millbrook. 47786 working hard away from the stop at Southampton. 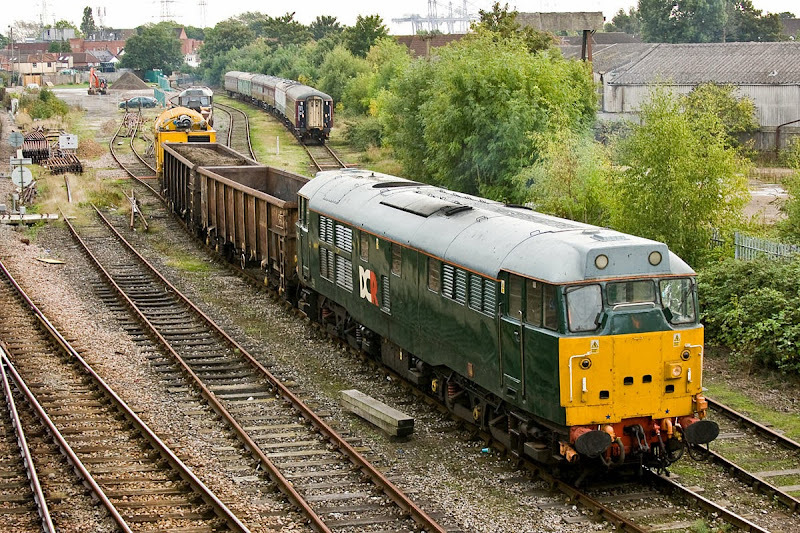 47245 is on the rear, and worked the return working. 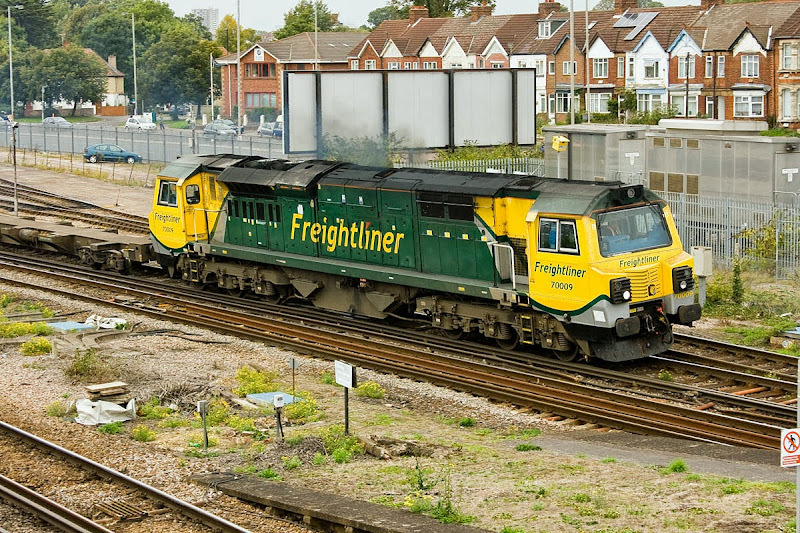 Four of the nineteen Class 70's were in Southampton this morning. 70009 takes empty flats as 4M55 to Lawley Street. 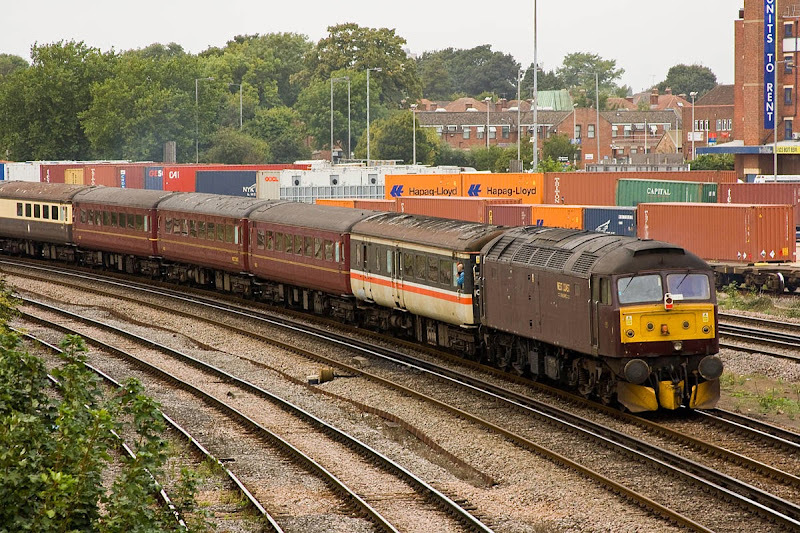 70017 at Maritime. 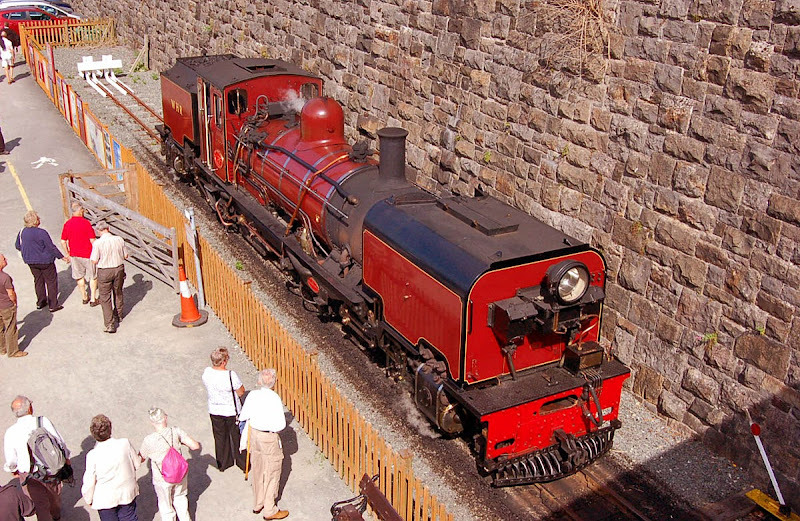 Since return to service earlier this month, the locomotive has been restricted to Wentloog turns. 70018 only worked as far as Shawford before failing on Tuesday 17th, having been returned from repairs at Eastleigh on 13th. Parked here meantime. 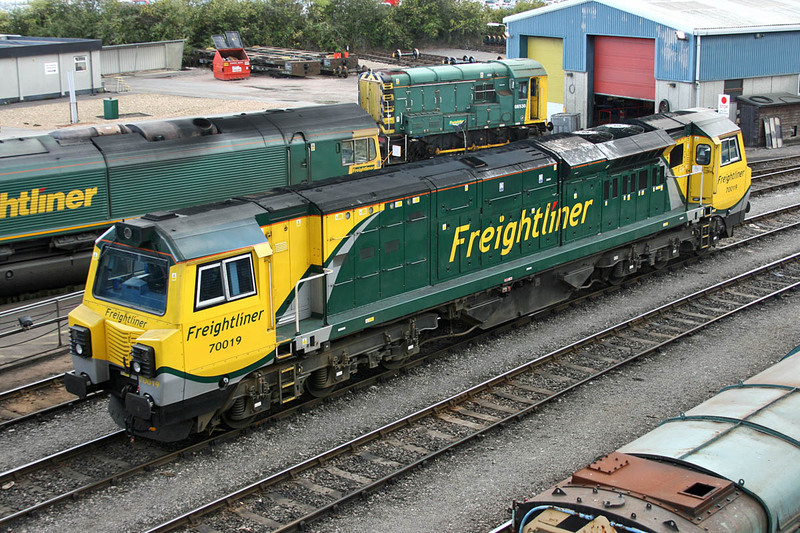 70020 has been working intermodals, and he seen here in maintenance at Maritime. 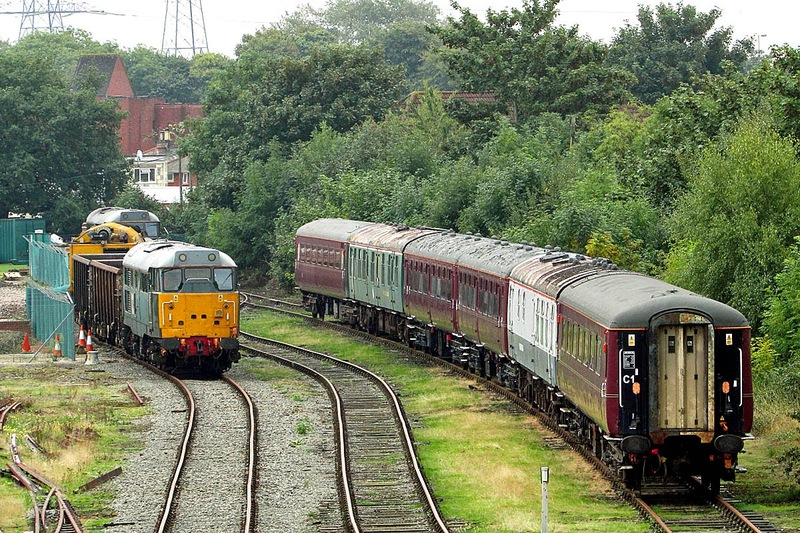 66504 on the left. 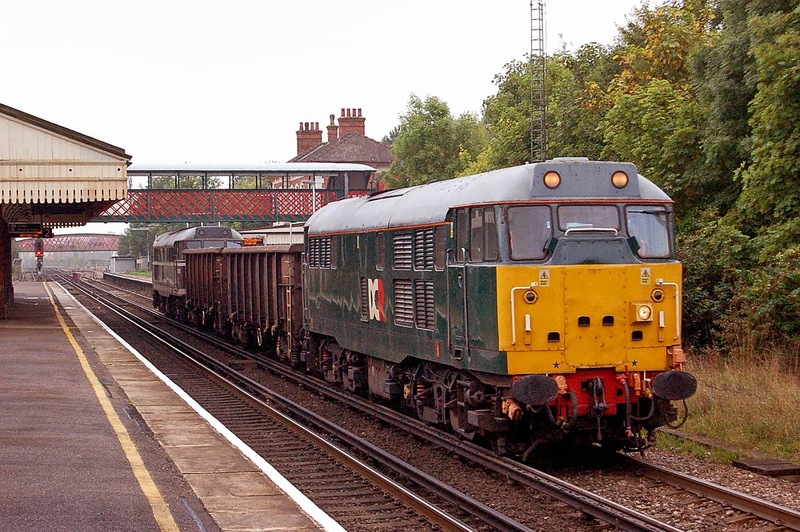 Romanian built 56312 Jeremiah Dixon (formerly 56003), completed in 1976, passes St Denys with 6Z56 Long Marston - Totton. Image by Ian Knight. 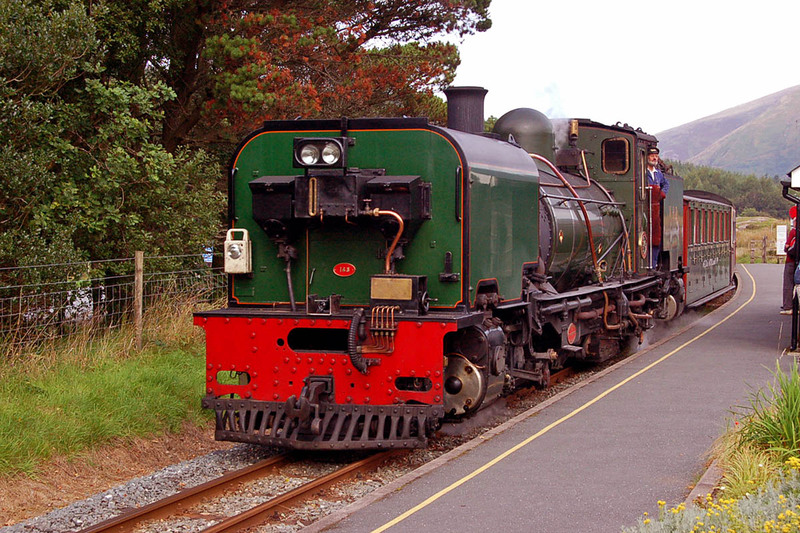 31190 at Eastleuigh, 16th September. Image by Ian Knight. 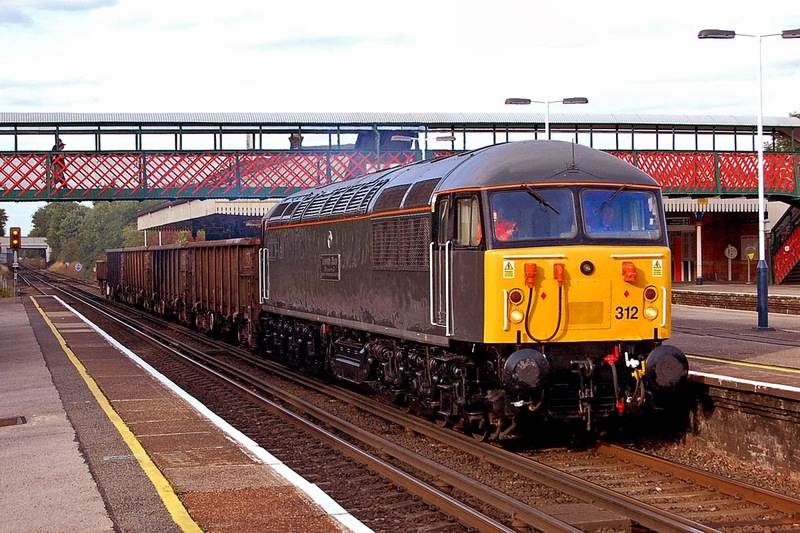 31452 attached to the Railvac at Eastleigh, 16th September. Image by Ian Knight. 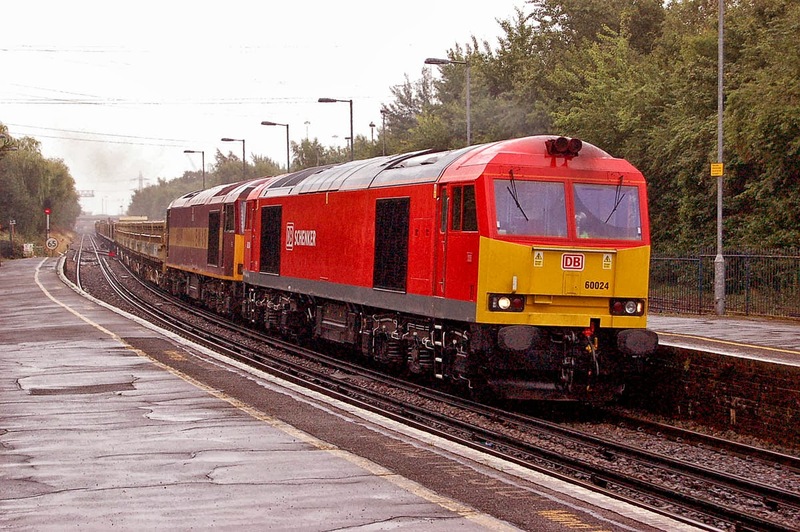 60024 + 60049 6V41 at Redbridge, 17th September. Image by Ian Knight. 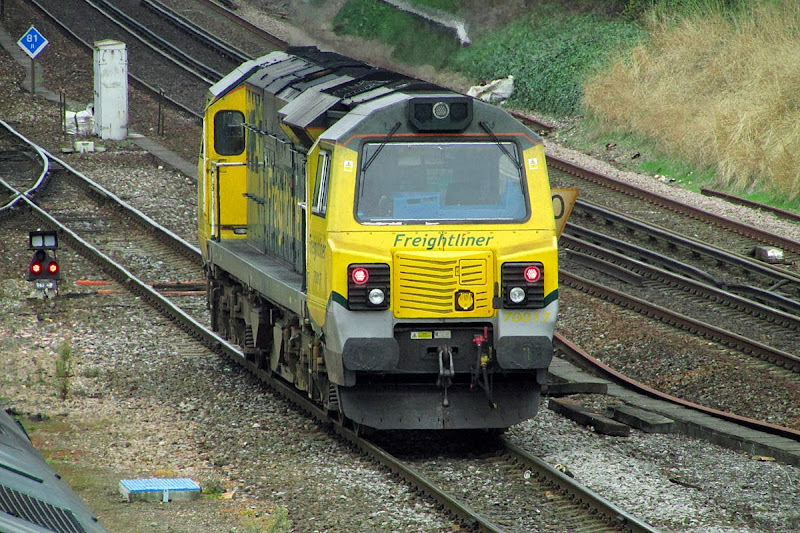 60024 with 6V41 at Millbrook, 16th September. Image by Ian Knight. 70018 was allocated to an intermodal for the first time in three months on Tuesday, 4M61 12:54 Maritime - Trafford Park, but failed at Shawford and rescued by 66564 working forward. 66564 + 70018 DIT 4O11 00:23 Basford Hall - Maritime on Wednesday, and not used again since. Who remembers this? I have some photographs, but it was a rainy day. 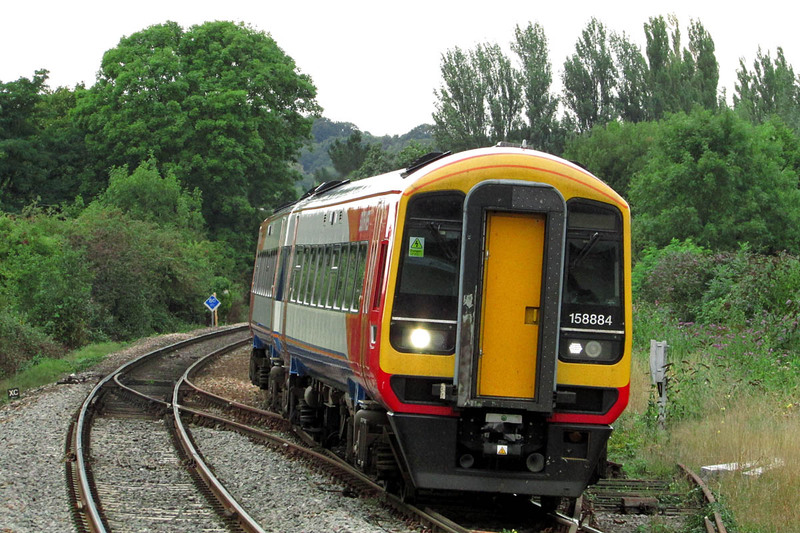 158884 on 2R58 15:56 Salisbury - Southampton - Romsey, approaching Romsey. Detail of the ground frame at Romsey. I have seen a wagon / van set out here many years ago, but now appears disused. 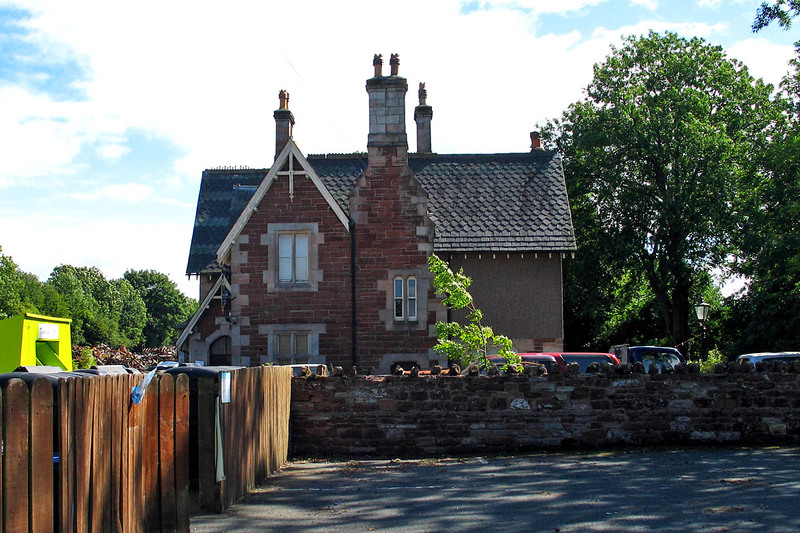 Appleby East station building is maintained and in use as part of scrap yard complex, which rather litters the platform, running line and yard. 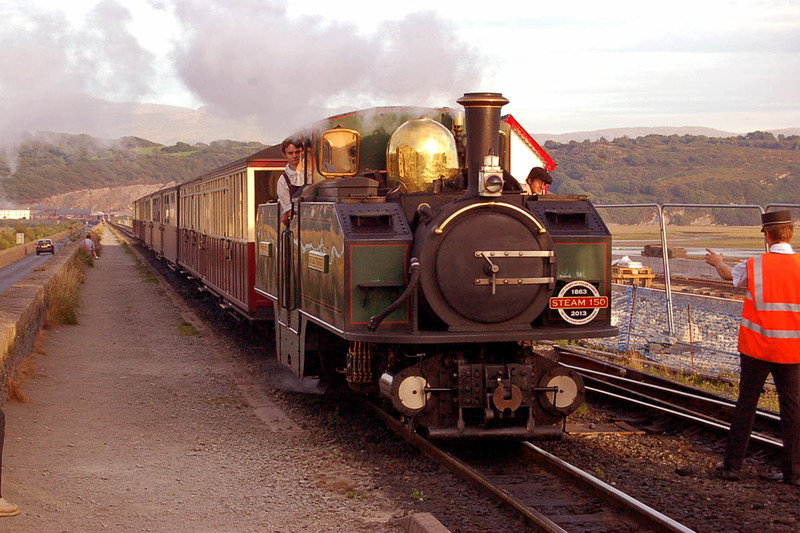 No train has passed this way since the late 1980s, but the Eden Valley Railway has hopes of eventually running to here. 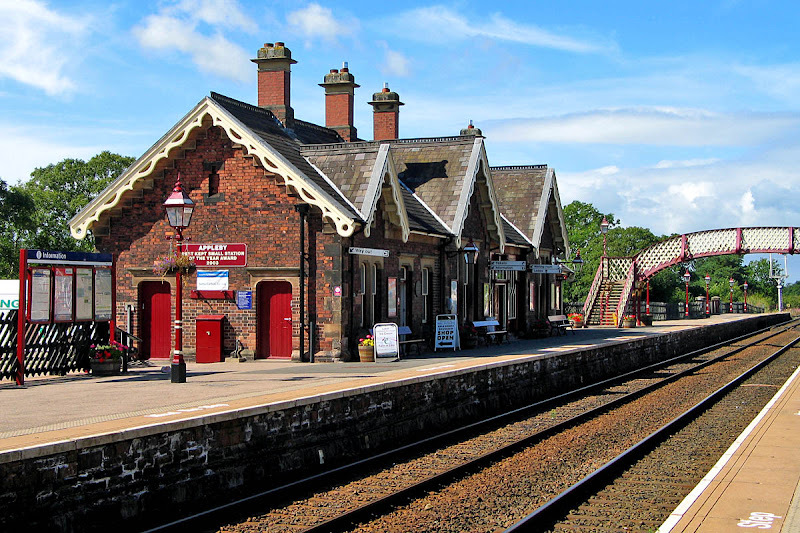 Appleby North signalbox of 1951. 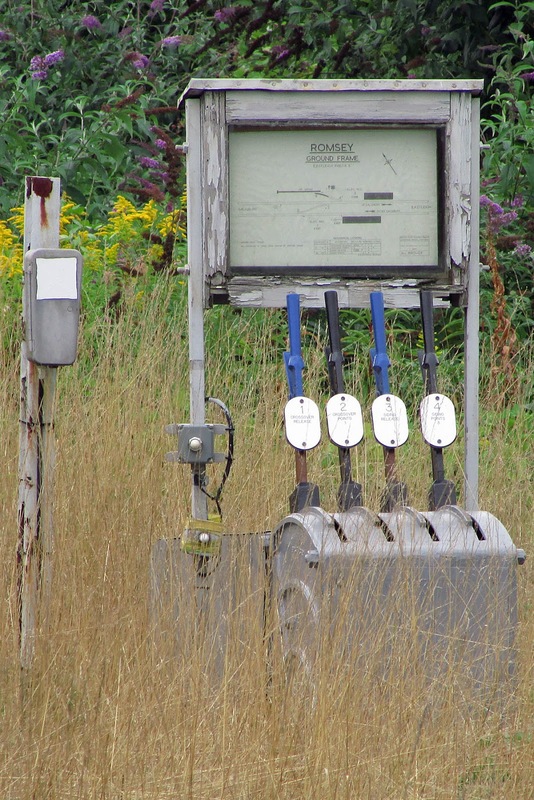 The FoSCL believe that the boxes will stop being used around 2020. Appleby West station on the Settle & Carlisle Railway. The bridge was moved from Mansfield in 1901. 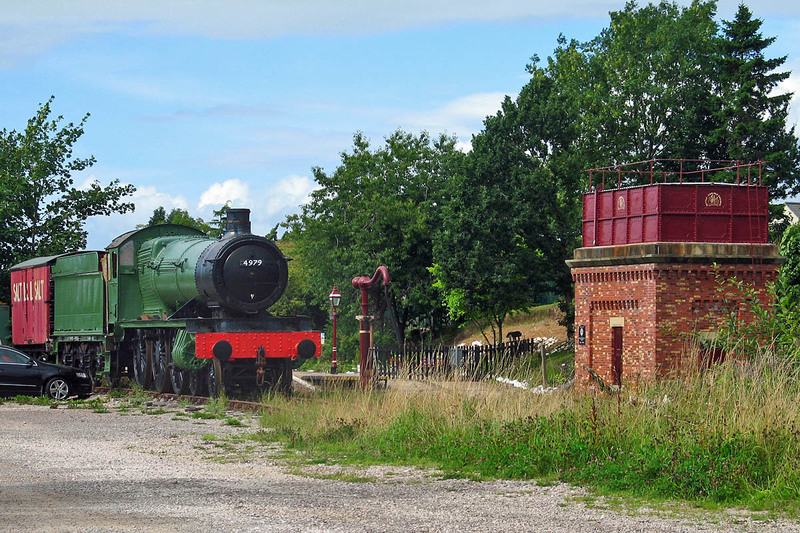 4979 Wootton Hall at the Appleby Heritage Centre, with the water tower and tank on the Settle & Carlisle line. 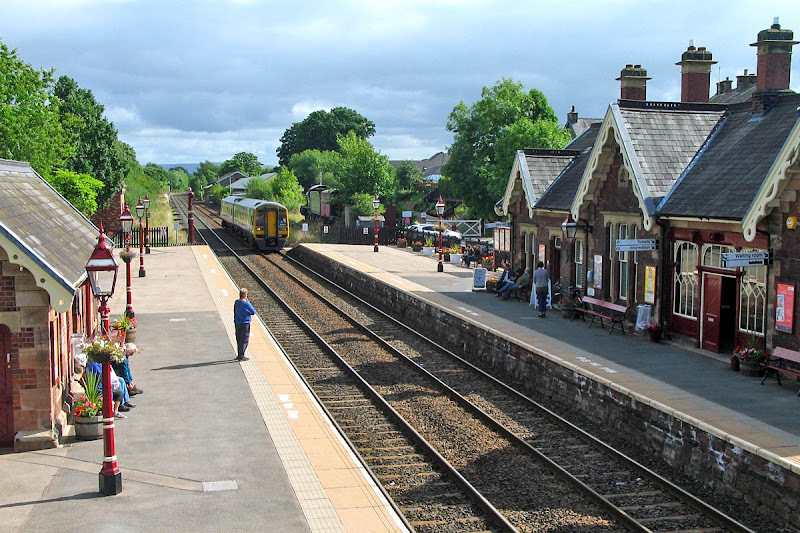 158817 draws into Appleby with a Leeds - Carlisle working. 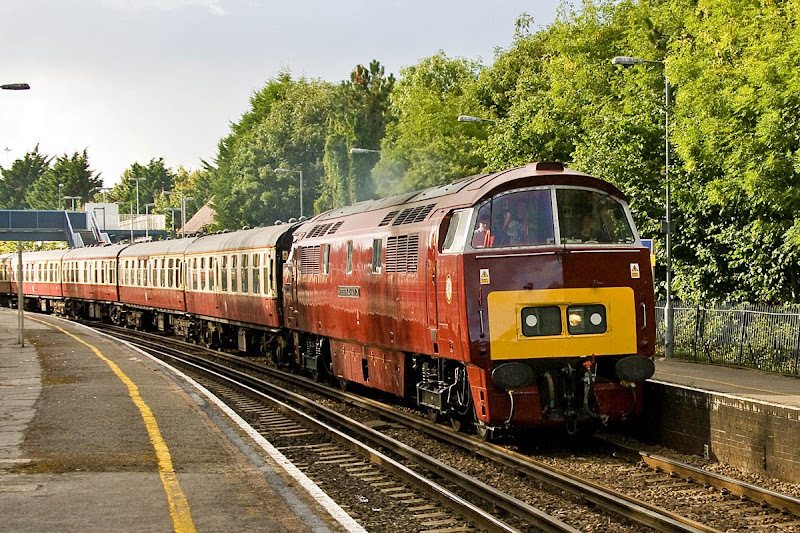 D1015 Western Champion on its first full main line tour since repairs, passing Redbridge, 7th September. 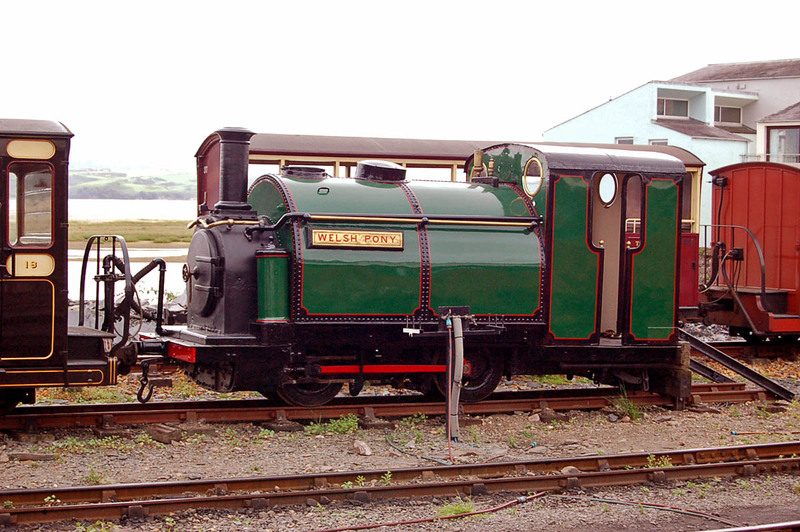 A further angle on Western Champion. 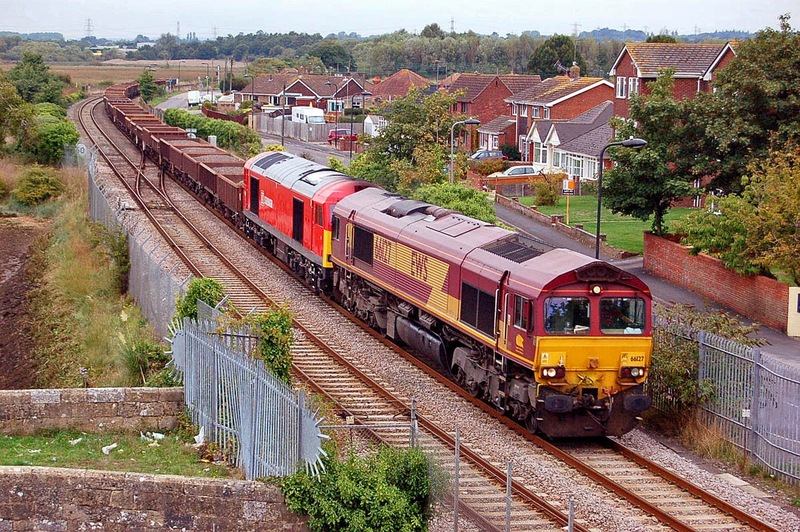 70019 at Maritime, having returned from Wentloog. 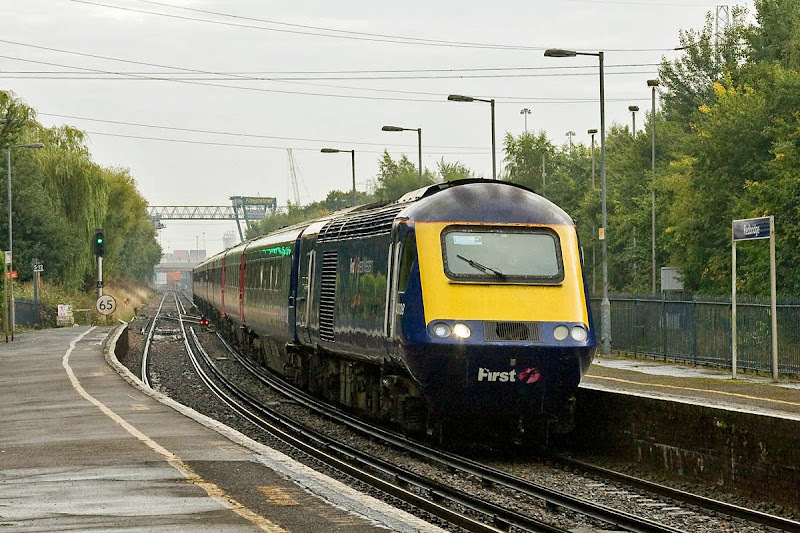 70001 returned to service on 2nd September, 70017 on the 6th September. 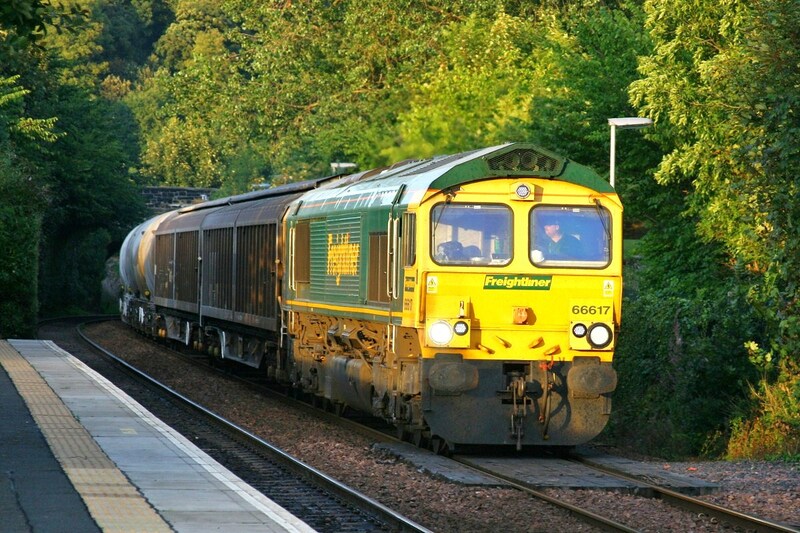 The only regular freight train on the main line through Fife is 6B32 15:52 Aberdeen Craiginches to LaFarge Oxwellmains (near Dunbar) cement empties. The northbound working operates via Stirling and Perth, thus avoiding the Forth and Tay Bridges, but the empties are permitted to cross them. 66622 runs though Aberdour, 20th August. 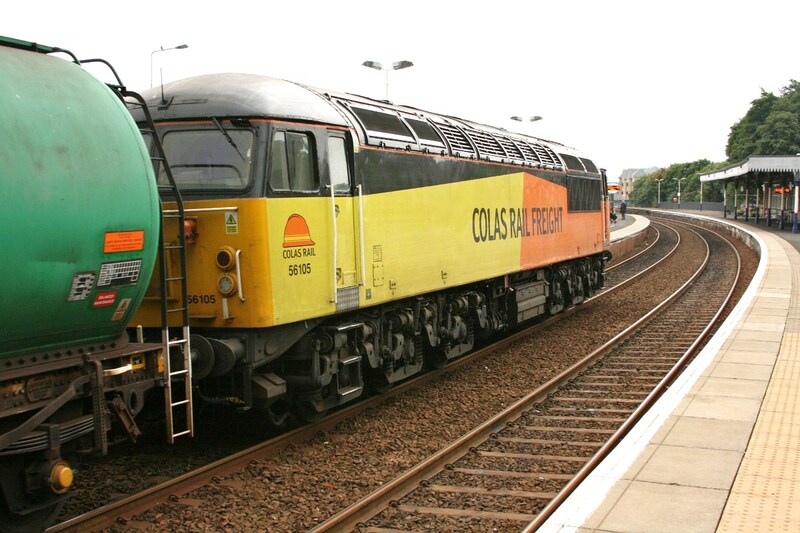 Running less frequently, and usually now a Colas 66 turn, is the Linkswood tanks, to supply aviation fuel to RAF Leuchars, scheduled for closure in 2014 as a fighter base. 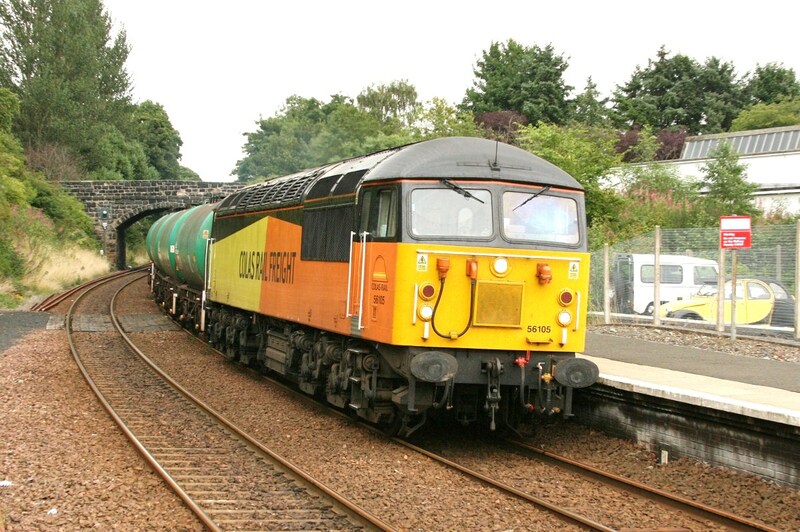 The outbound working is from Grangemouth, via Stirling, Perth & Dundee (run around) to Linkswood. 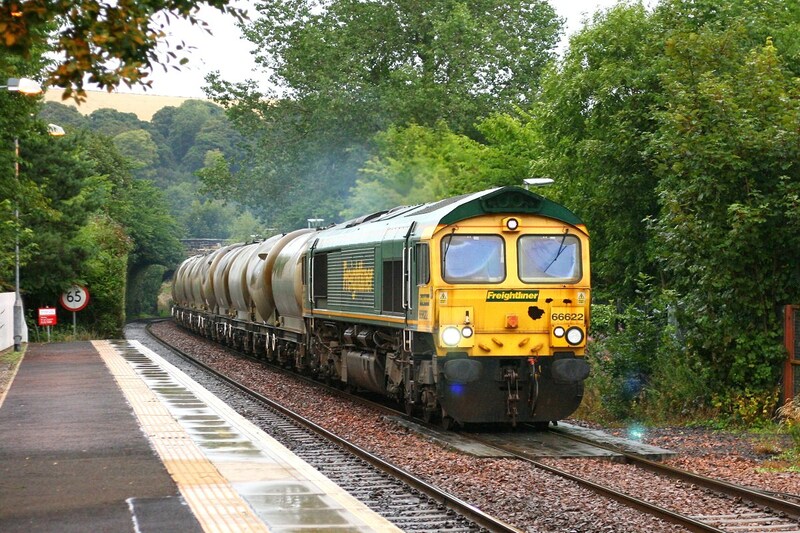 Return is via Ladybank, Thornton, Dunfermline, Alloa & Stirling to Grangemouth. 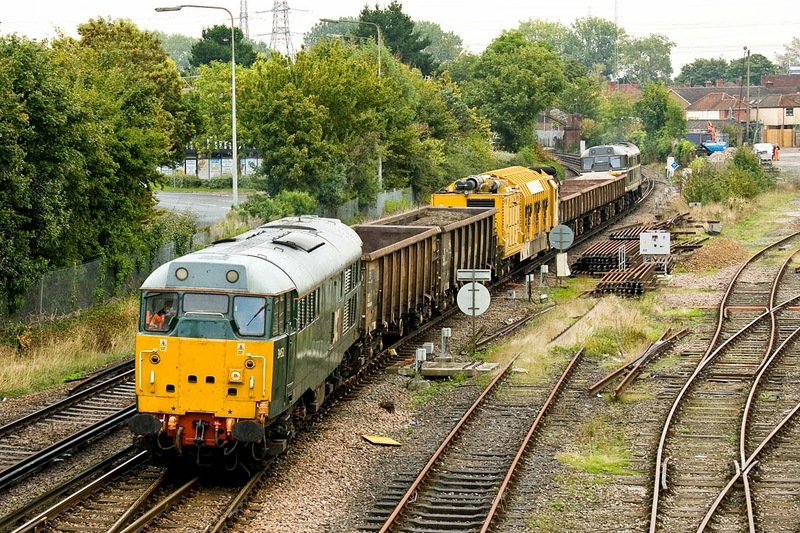 The surprise on 23rd August was that 56105 was on the turn - and this has repeated several times in the past two weeks. At this point the train was slowing and stopped at Charlestown Jct, where events took a strange twist. 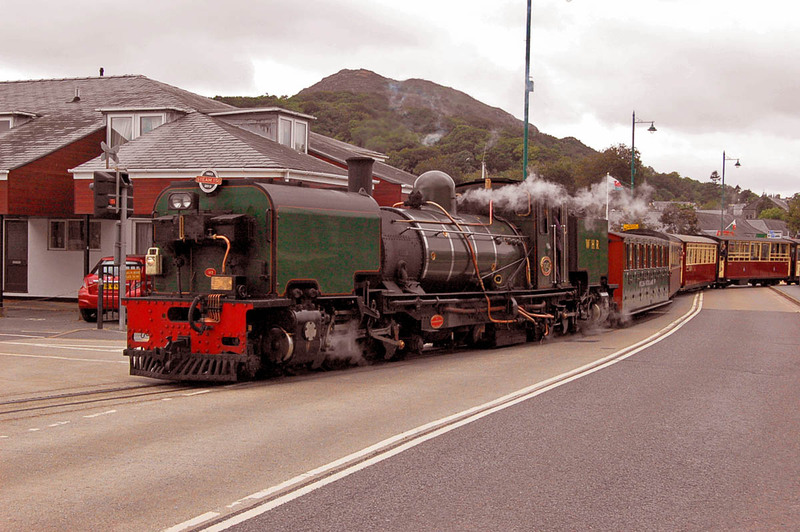 The now little used points for the line to Longannet had a problem, and a decision was made to send the train once around the Fife Circle before a successful second attempt about an hour later. 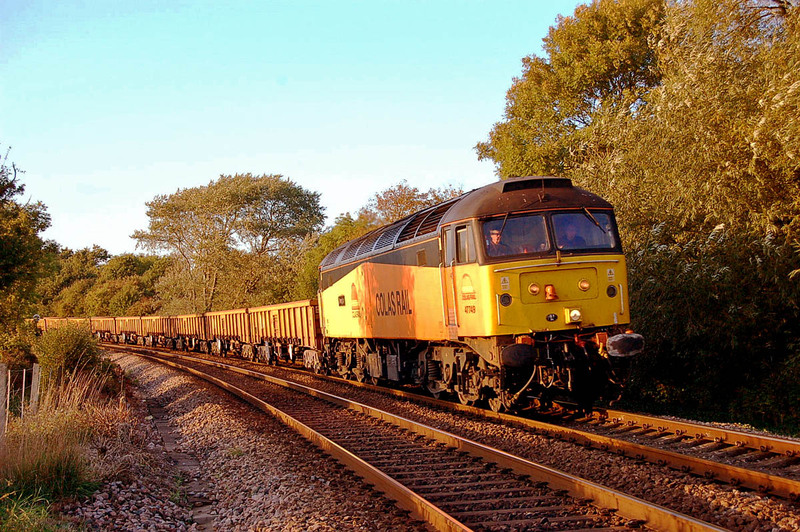 66617 is in charge of 6B32 on 27th August, with additional ferryvans.